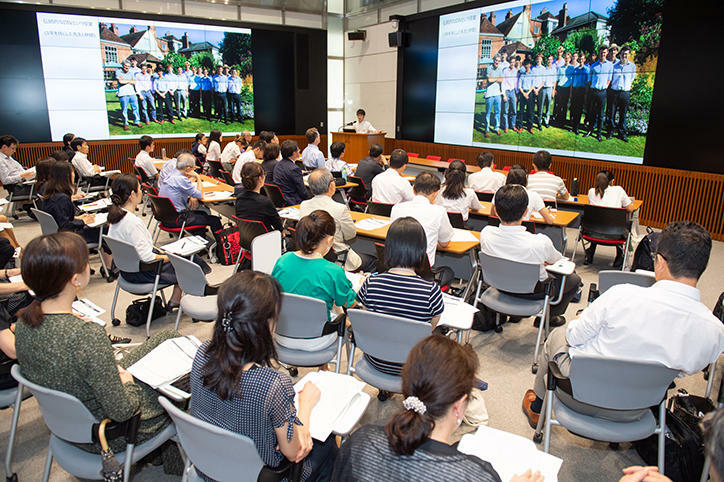 On Tuesday, July 24, a debriefing meeting for students from Keio’s affiliated schools who studied abroad in the 2017 academic year as part of the Keio Affiliated Schools Study Abroad Program was held at the East Research Building on Mita Campus. 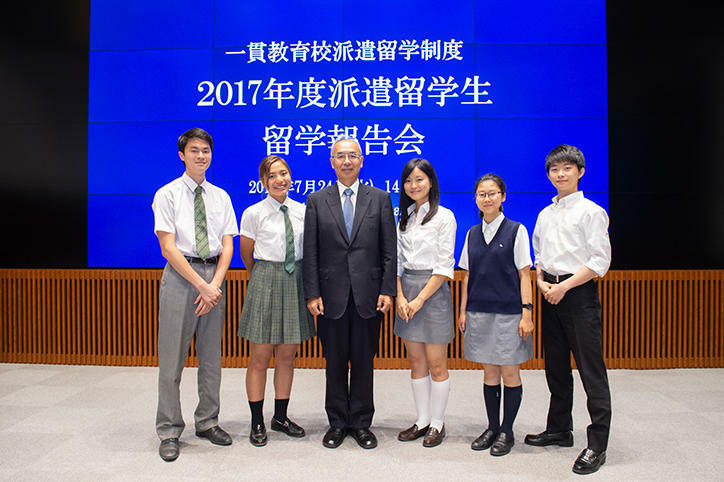 This Program, which was instituted during the 2014 academic year, sends selected students from across Keio’s five affiliated high schools to study abroad for one year at prestigious boarding schools (host schools) in the United States or the United Kingdom. The students are awarded scholarships to cover tuition and other costs at the host school. 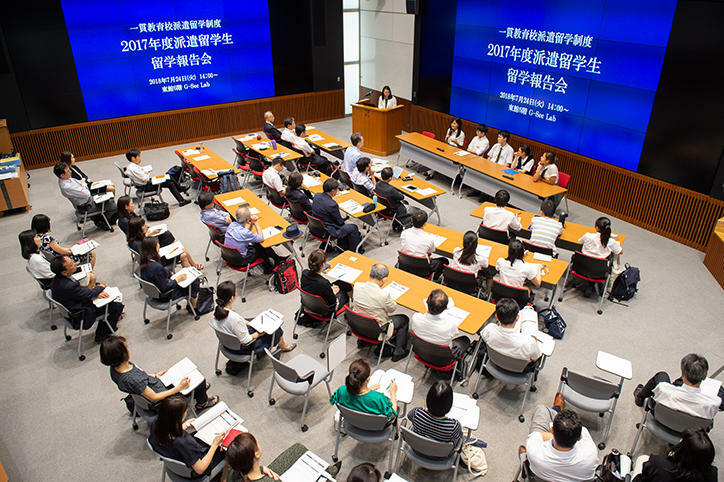 Furthermore, as a general rule students can advance or graduate without having to complete an additional year of schooling upon their return to the Keio affiliated schools following the study abroad. 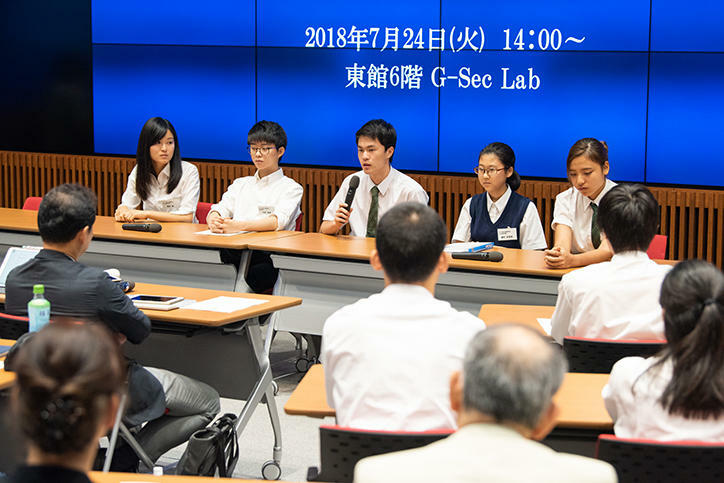 The debriefing meeting for students who participated in the Program in the 2017 academic year opened with an address from Vice-President Masahito Omori, and was followed by presentations by the five students in Japanese and English. Students presented on the differences they perceived with Japanese education and culture during their study abroad while showing pictures of their activities at the host school and destination, as well as on the ways in which they had grown or changed over the year. The high quality of schooling they received while studying alongside some of the brightest students from around the world greatly broadened the students’ horizons. It is hoped that students who participated in the Program will convey their experiences of studying abroad and inspire enthusiasm among classmates at their respective schools following their return.